No 420 on Federal Lands! With the recent legalization of marijuana in California and other western states, also came some confusion. Although it may be legal to consume marijuana on private and other non-federal property, it is NOT yet legal to possess or use it on federal lands. 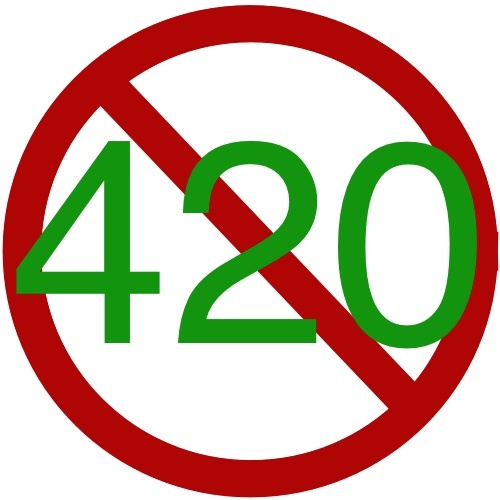 So, if your visit to a national park, national forest, BLM or other federally managed lands today, or any other day, includes a nod to 420, know that you face the possibility of arrest, citations, fines, and/or confiscation. But most importantly, please understand that marijuana use can impair your riding abilities and skills. Offroading after consuming alcohol or drugs endangers your life and the lives of others around you.